If any profession is top-heavy with skilled and talented wordsmiths, it is the legal profession! An attorney’s career and success may possibly live and die, win or lose by the words they craft for each and every client they represent. Contracts, motions, pleadings —all are word dependent and scrutinized by skilled opponents looking for cracks, wiggly sentences that can be interpreted to fit the needed narrative, or those omissions of words that might be leveraged for a strategic advantage. Lawyers are content writers. However, Website Content Writing for lawyers is more complicated than it might appear. While lawyers are good at making certain that the correct words, terms, and sentences are included in their legal document drafting, not every lawyer is skilled at writing more conversational and engaging content that lay people crave to find when searching the Internet for the solution to a pressing legal problem. Potential clients can find endless legal websites where they can read “legalize” or copied statutes lifted verbatim from the penal code, but that’s not what they are looking for. Potential clients are searching for a website that paints the lawyer as skilled, compassionate and trustworthy. A potential client who is about to be arrested for assault, isn’t going to feel all warm and fuzzy about you as a lawyer by getting another regurgitation of the penal code. Google will have taken them to the state government site already. Prospective clients will respond positively to a lawyer’s website if they deem that is professionally crafted such that you appear to be technically up-to-date; they will appreciate a site that allows them to quickly navigate your site to exactly what they are looking for (or they’ll “click” away). When they find the page they are looking for, they will spend measurable time on that page IF the page is visually scan-able; if the page is laid out with plenty of white space, with appropriate images, and with large easy to read paragraph titles that will effectively break-up the text into small, easily-digestible, non-legalize paragraphs. When your website meets some or all of these best-practices your visitors will sit back and read what you have to say. We want them to connect with you. The whole experience is critical – the first impression of your site, the ease of navigation to a specific page, the easily scan-able page layout, a picture or video of you or your associates, your willingness to connect in words as one person to another; all of these will paint a picture that your prospective client will gauge their comfort-level with you and then decide to chat with your live assistant, email you or pick up the phone to call you. Clients “click away” from prissy, high-brow, legalese-heavy, mostly-text, legal websites in under 60 seconds! We get calls from lawyers seeking a website “makeover” of their 5 or 7 year old .HTML website. They know they want a CMS Website —one where changing, deleting, or adding content does not mean a mortgage payment to a programmer type. But what we also often hear is that their 5, 7 or 10 year old website was not all that successful in recruiting new law firm clients. We’d ask if we can ‘take a peek’ at the existing site to get an initial look. What we often see is a itty bitty, tiny little site with 3 or 4 pages or a site that looks like a law clerk’s nightmare: a WALL OF TEXT. Website visitors DO NOT hang out a text-only websites that are smothering walls of text. Website visitors DO NOT read websites. Website visitors do want to know if you have awesome criminal defense skills; and the they want to know how embarrassing might be that first call or meeting will be —or— do they perceive (or did your site reassure them) that you will immediately put them at ease? They also want to know that your past clients and peers hold you in high regard. 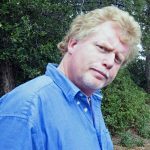 Not every lawyer can muster the enthusiasm or time to cobble together 10 to 50 pages averaging 400 to 1,000 words per page for their new website. Not every lawyer is a wordsmith when it comes to prospective clients. Not every lawyer has the persistence to draft, edit, re-edit, and then polish content for their upcoming website visitors. 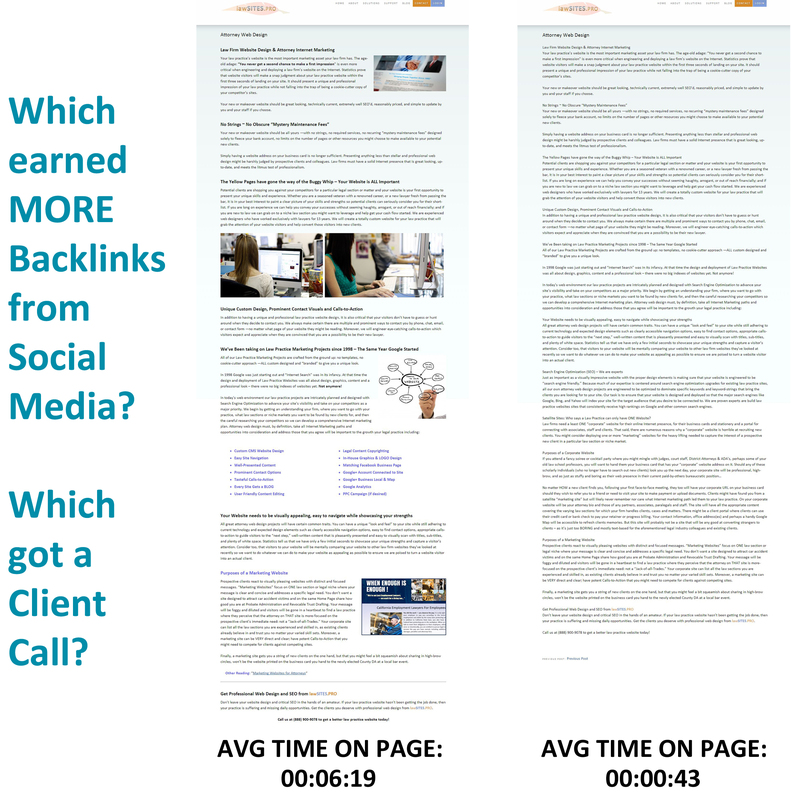 Most lawyers are then frustrated to learn that a polished page of content than might read well totally fails as far as good SEO practices are concerned. Content writing and SEO content copywriting is time consuming and frustrating if you have to balance running your law practice with content creation. If you are up the the “Content Chore,” your content may still require an SEO review. 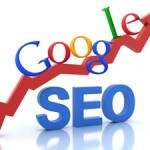 dovetails and supports our SEO plan of action to leverage this page to be “find-able” by our target clients. It can be an overwhelming task to come up with rich, user-friendly and SEO engineered content for your website. If that is your situation, we have a solution. We’ll do it for you. We write legal website content and we edit existing ineffective content when need be. Whether it’s creating new content for your new or existing website, editing existing content to re-boot a floundering website, or writing recurring BLAWG content for a law practice marketing strategy, we will help you get the best possible professional content that persuades readers and converts visitors to clients and cases. We research and write content for new and interesting law practice niches every year, so if we have not yet addressed your specialty, we’d love the challenge. No matter whether you need 5 pages or 50 pages, we can create client-friendly and Google-friendly content for your legal website. The written content on your website is the most important aspect of your website. At lawSITES.PRO we understand the concerns and challenges of law practices. We know how to put the Web to work for you and bring new clients and cases to your door. Have a professionals legal content copywriter craft the content for your under-populated existing site or your new site. Our client’s websites are bringing them new clients and cases each and every day. We can give your site the content it deserves. Chances are, your most aggressive and successful competitors are succeeding because they’ve chosen professional content copywriters who also understand how to dovetail the new content with great on-page SEO strategies that positively affect search engine rankings. Great Content – Even better when written and deployed with SEO Copywriting skills. Well-written legal website content that is keyword-targeted will help each and every page of your powerful CMS-based website get you positively ranked and found for that page’s focus with Google, Bing and Yahoo. Merging the power of clearly-written legal content with SEO strategies is referred to as SEO Copywriting which ensures the best possible search engine results page-by-page for your website. Don’t leave your website content writing and SEO Copywriting in the hands of an amateur. If your law practice website hasn’t been getting the job done, then your practice is suffering and missing daily opportunities. 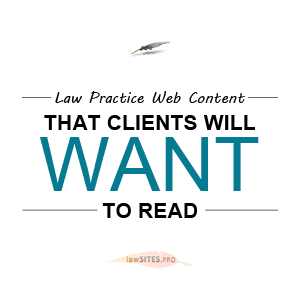 Get the clients and cases you deserve with professionally-written content from lawSITES.PRO.